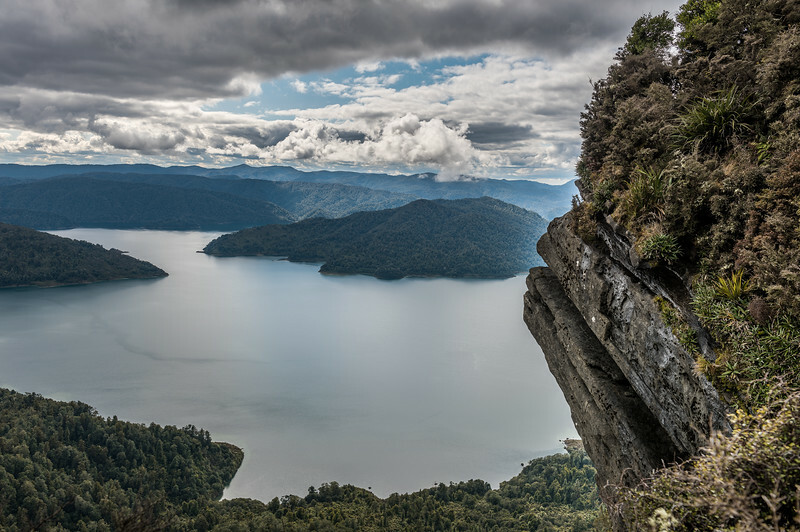 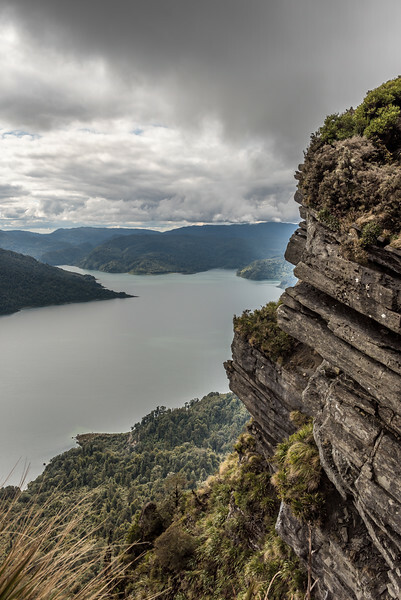 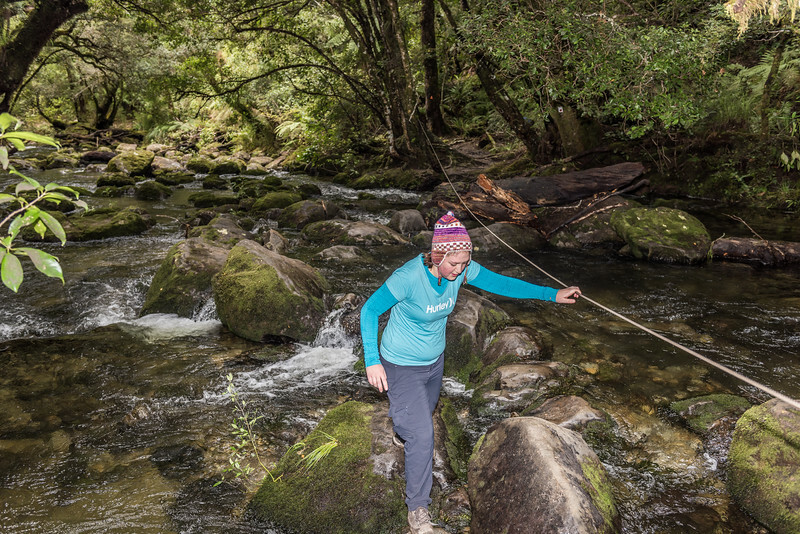 An eight-day solo tramp around Lake Waikaremoana and Lake Waikareiti, Te Urewera National Park. 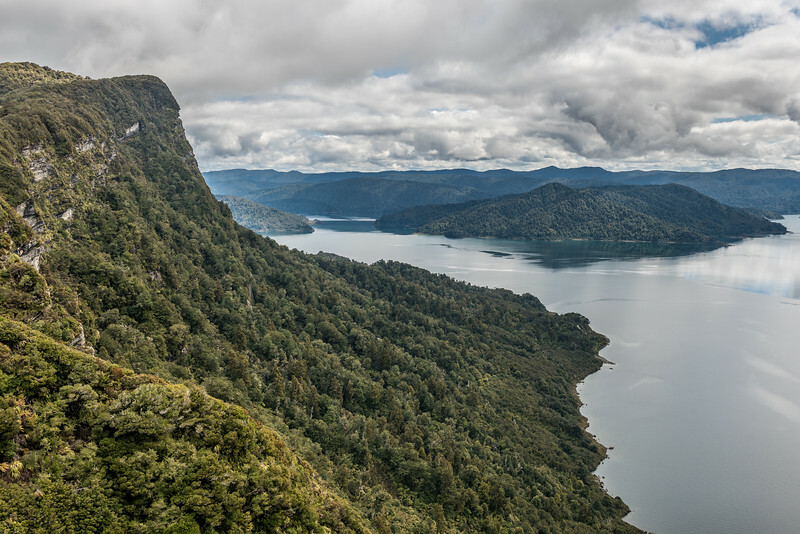 Day 1: From Onepoto Bay to Lake Kiriopukae then on the Lake Waikaremoana Great Walk to Panekiri Bluff, Pukenui, Bald Knob and to Panekire Hut, built on top of Puketapu, one of the highest points in the Panekiri Range. 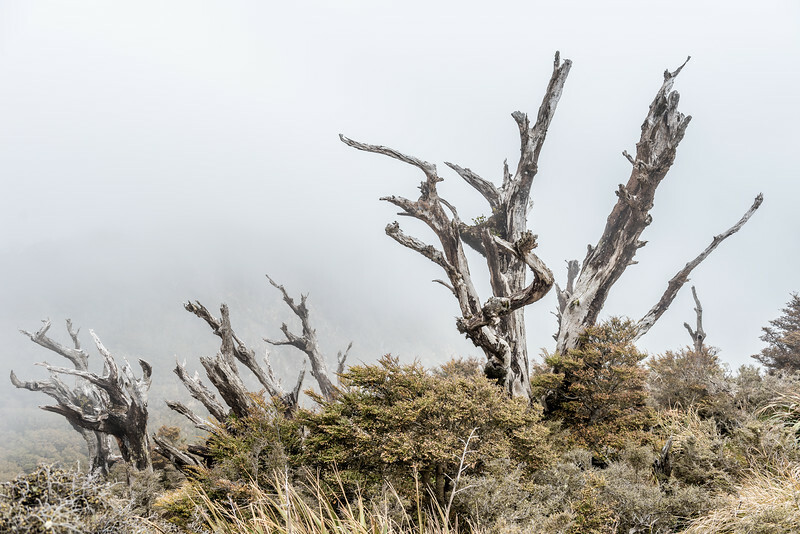 Day 2: Along the Panekiri Range tops then down to Waiopaoa Hut. 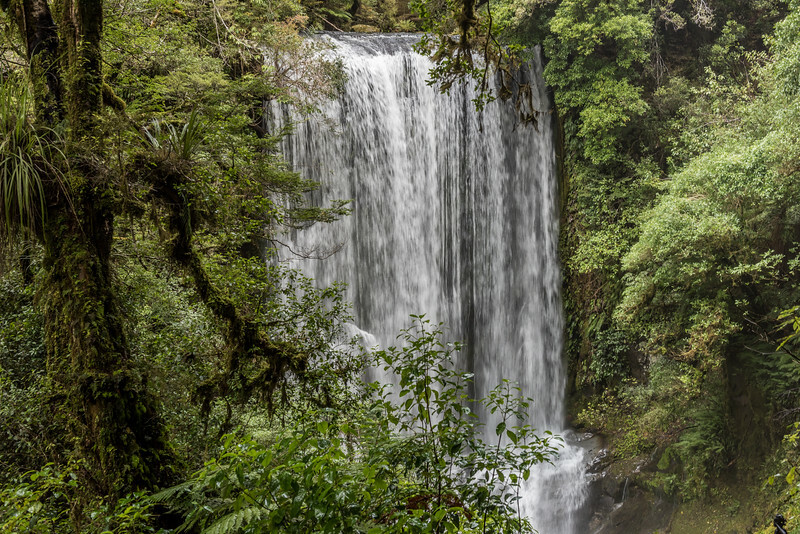 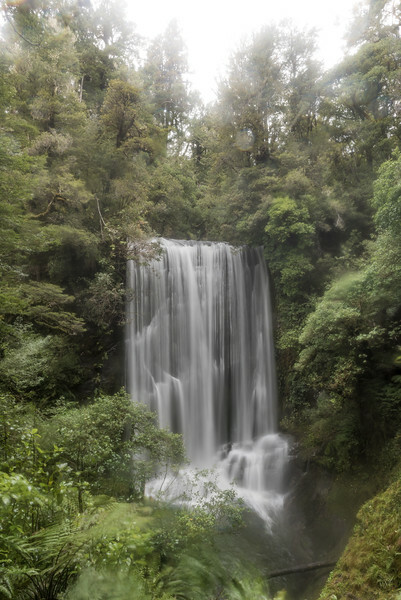 Day 3: I visited the 22m high Korokoro Falls on Korokoroowhaitiri Stream, then continued to Korokoro Campsite, past Te Kotoreotaunoa Point to Maraunui Bay and over Wanakeke Spur to Marauiti Hut on Marauiti Bay. 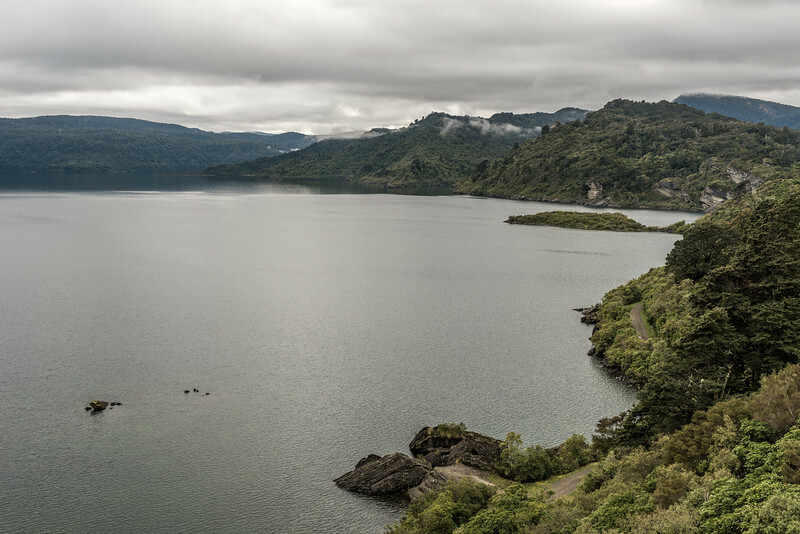 Day 4: Mainly along the lake shore to the gigantic Waiharuru Hut. 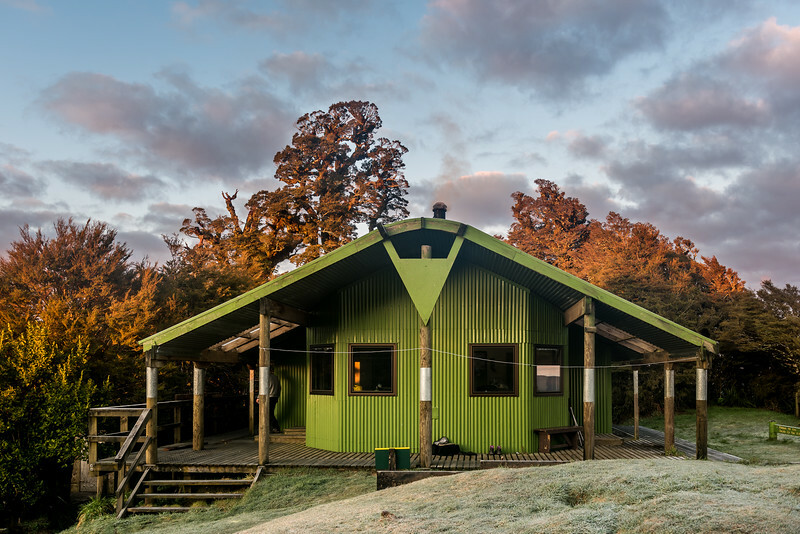 Day 5: On to Tapuaenui Campsite then Whanganui Hut in Whanganui Inlet. 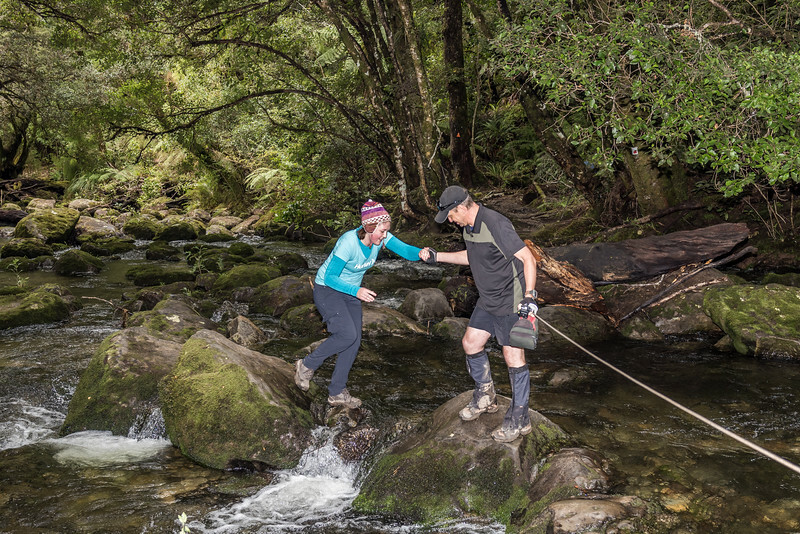 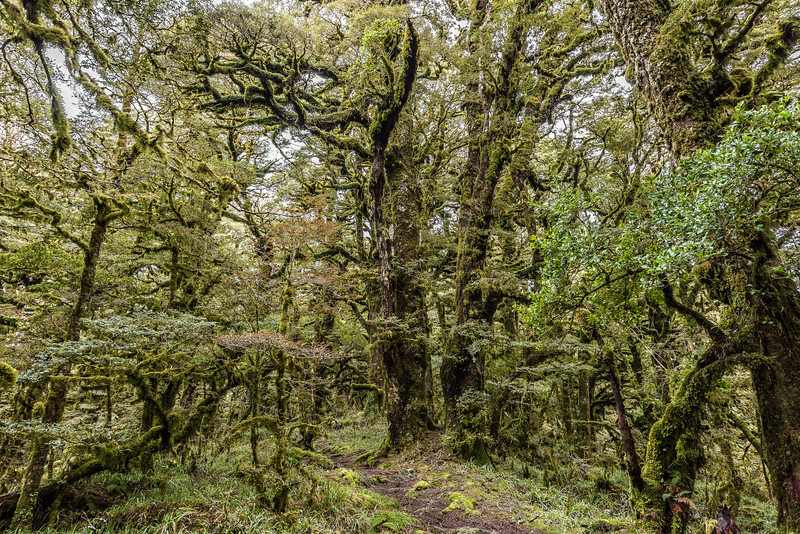 Day 6: From Whanganui Hut to the road (past the recently collapsed Hopuruahine Stream bridge), then up the Manuoha Track to the summit of Manuoha (1392m), highest point in Te Urewera National Park, and Manuoha Hut. 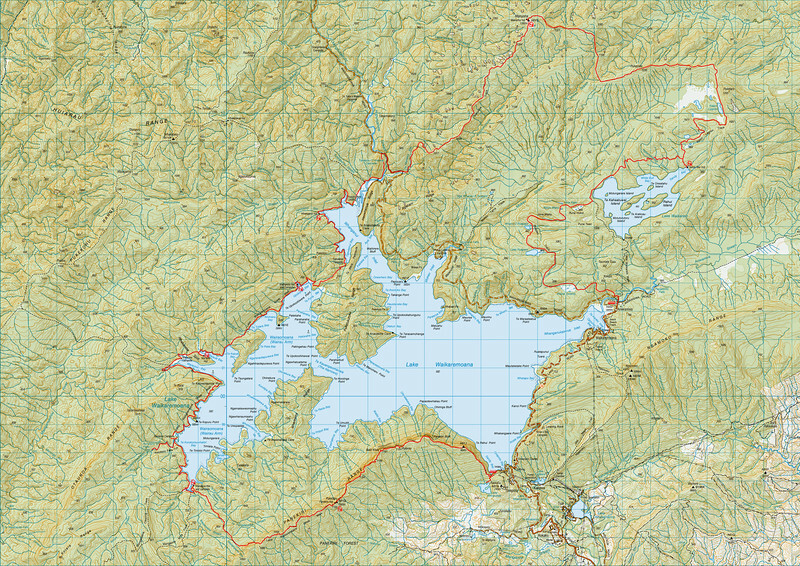 Day 7: Over Pukepuke to the Kaipo Lagoon, then down the Kaipo Lagoon Track to Sandy Bay Hut on the shore of Lake Waikareiti. 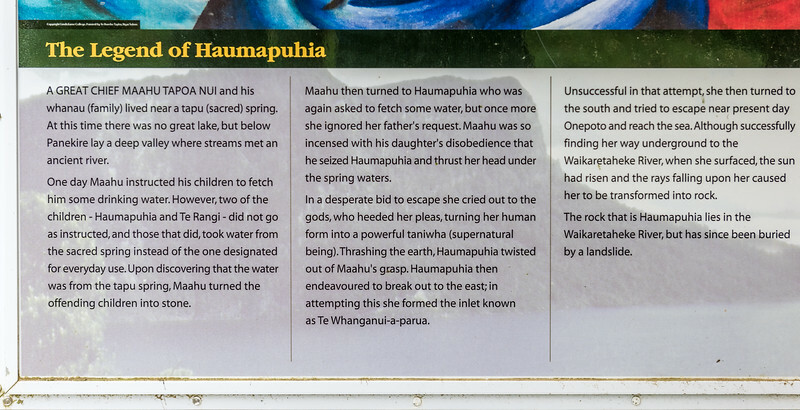 Day 8: Around Lake Waikareiti, then on the Ruapani Track to Puna Hokoi, Hine Rere, Ngutu Manu, Hine Waho, Whano o Ruapani, Lake Ruapani, Waipai Swamp and to Aniwaniwa Falls Visitor Centre. 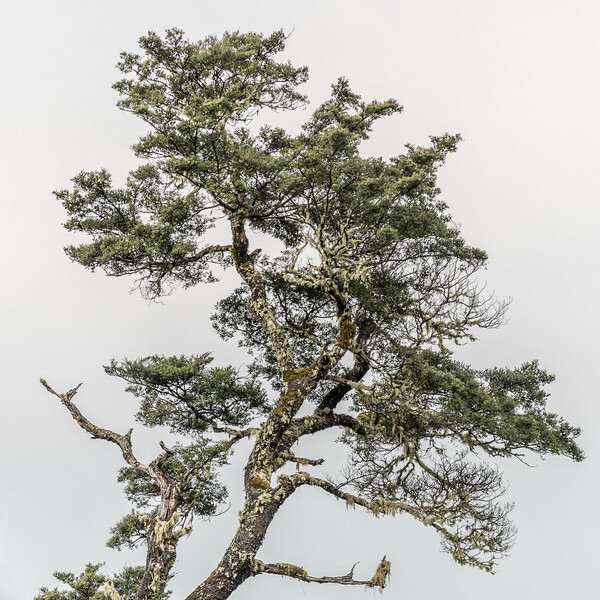 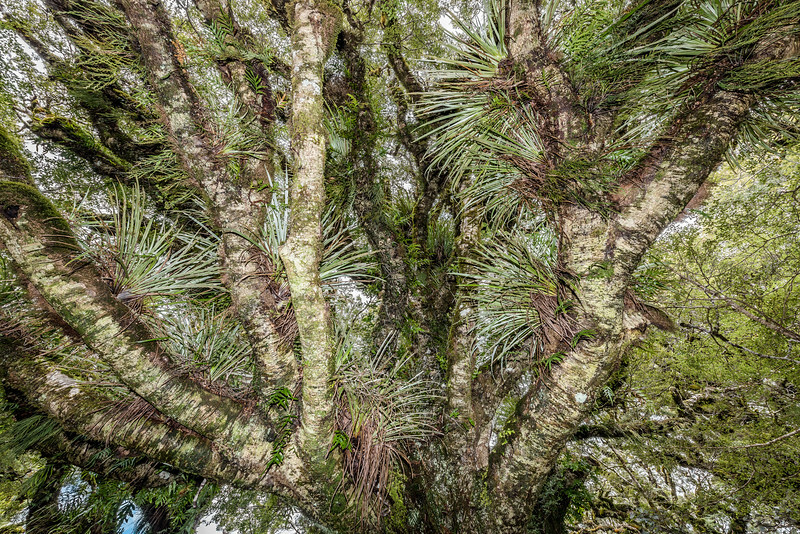 Click here to see pictures of the flora of Lake Waikaremoana. 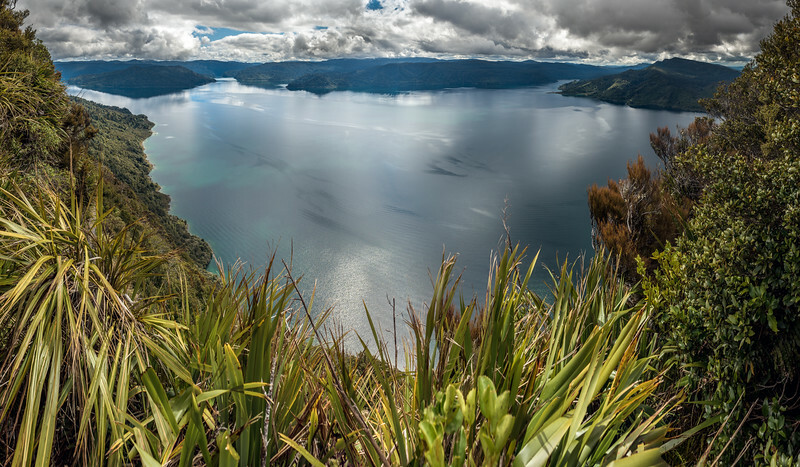 View of Lake Waikaremoana from the Panekiri Range. 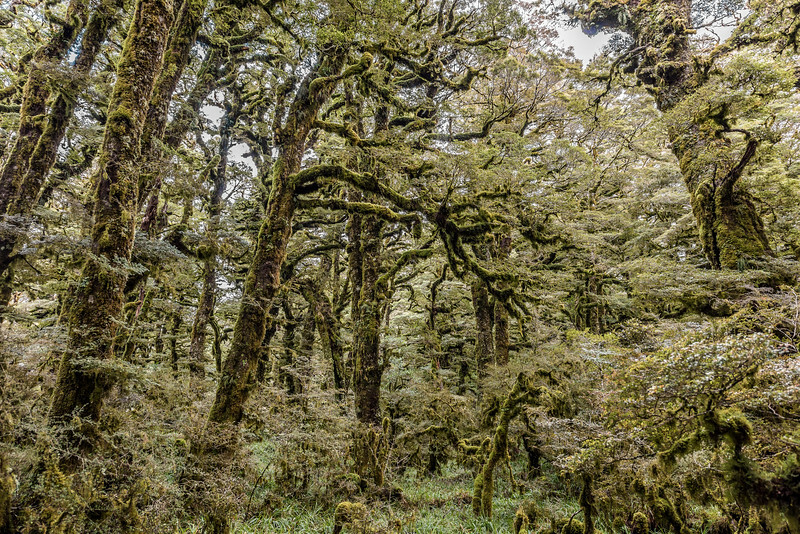 Forest on the Panekiri Range, Lake Waikaremoana Track. 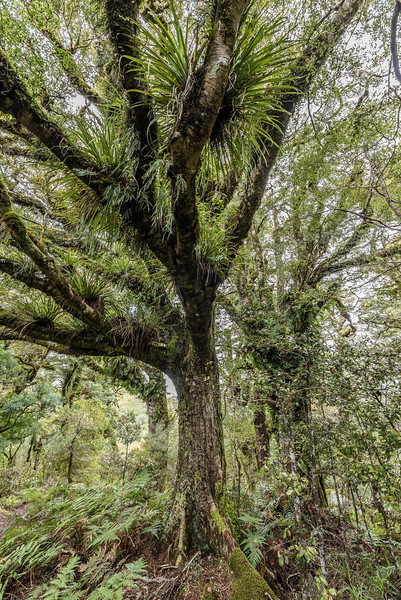 Astelia microsperma is the epiphyte growing on the tree branches. 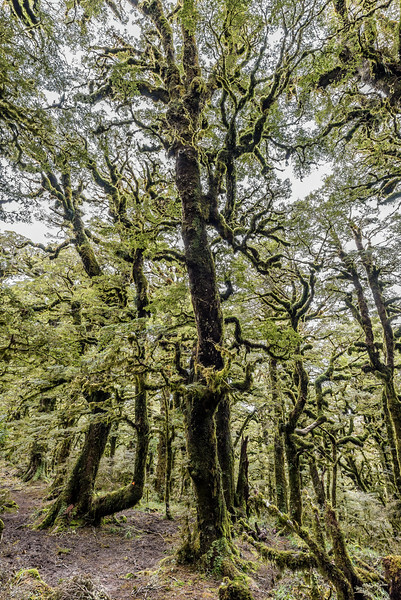 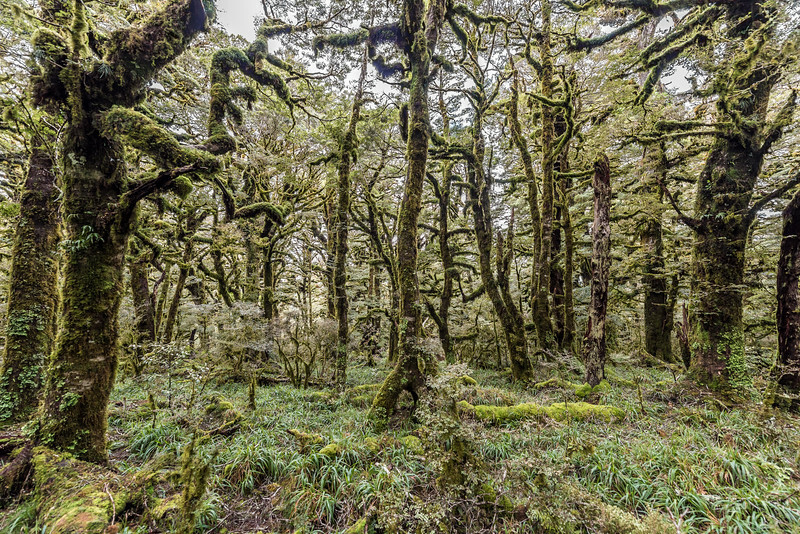 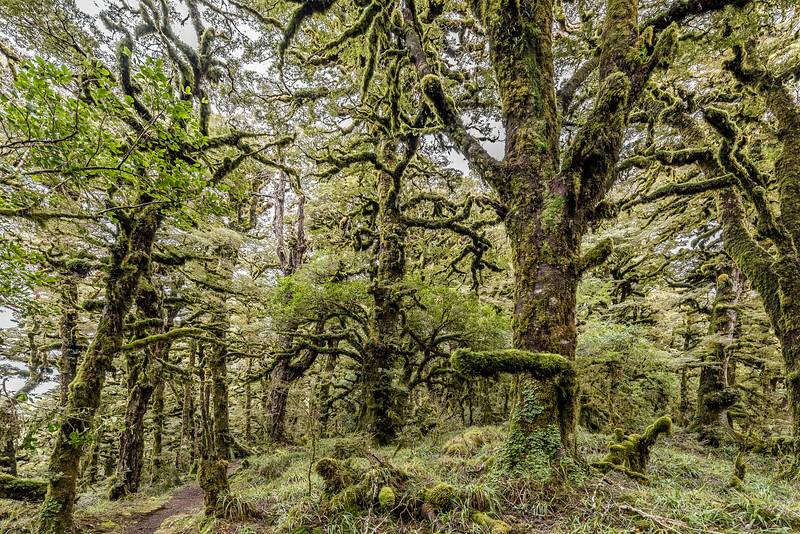 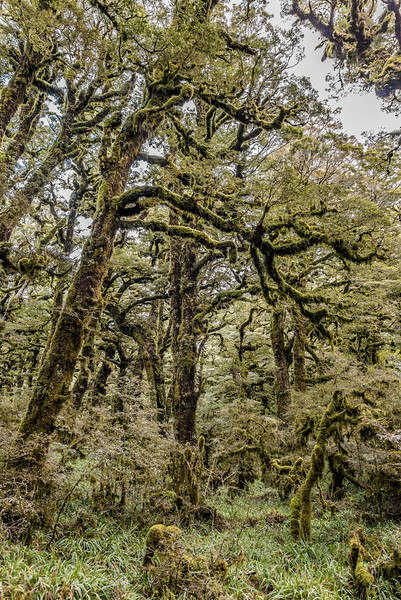 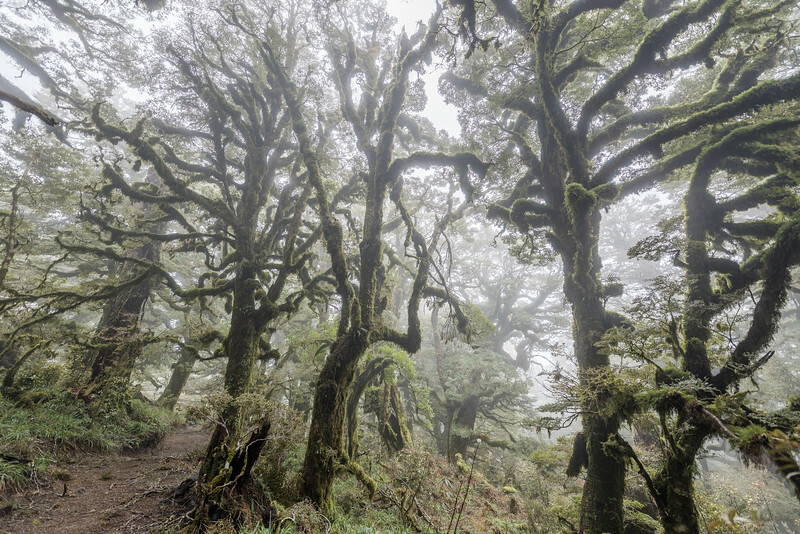 High altitude forest on the Panekiri Range, Lake Waikaremoana Track. 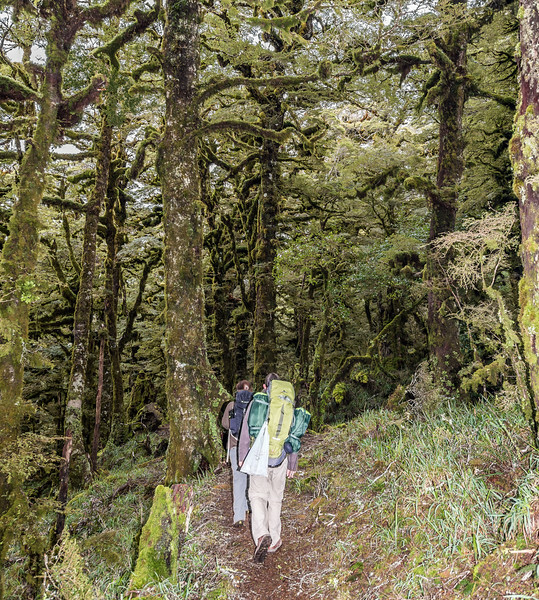 Trampers in high altitude forest on the Panekiri Range, Lake Waikaremoana Track. 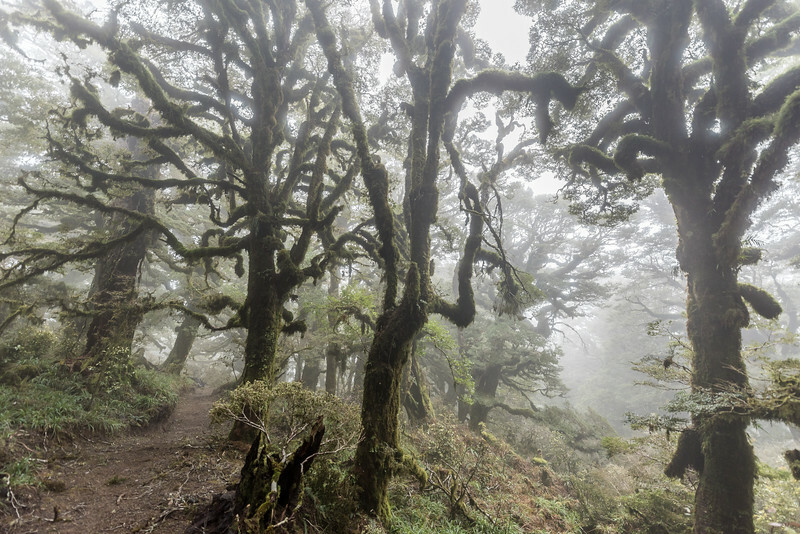 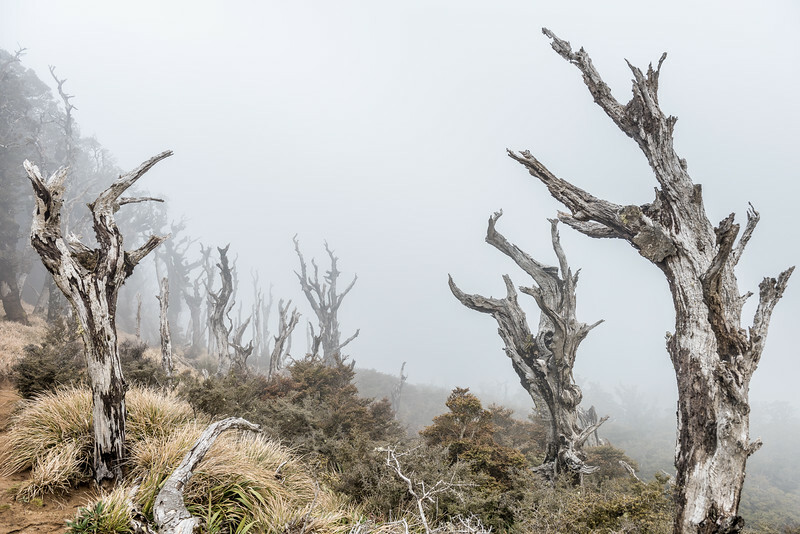 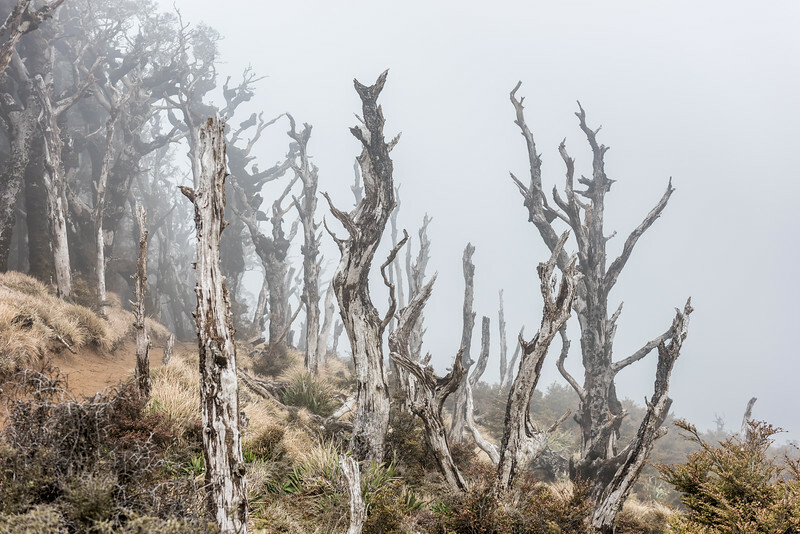 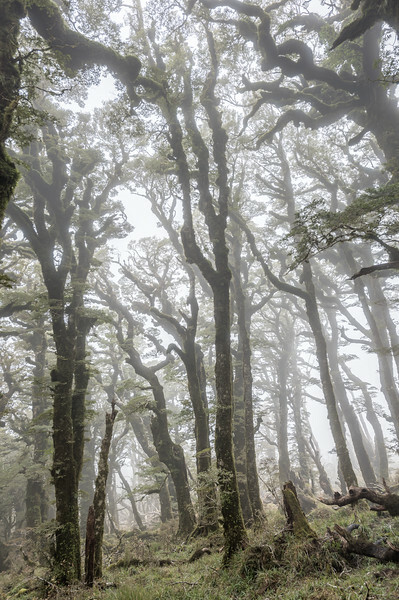 High altitude forest in mist, the Panekiri Range, Lake Waikaremoana Track. 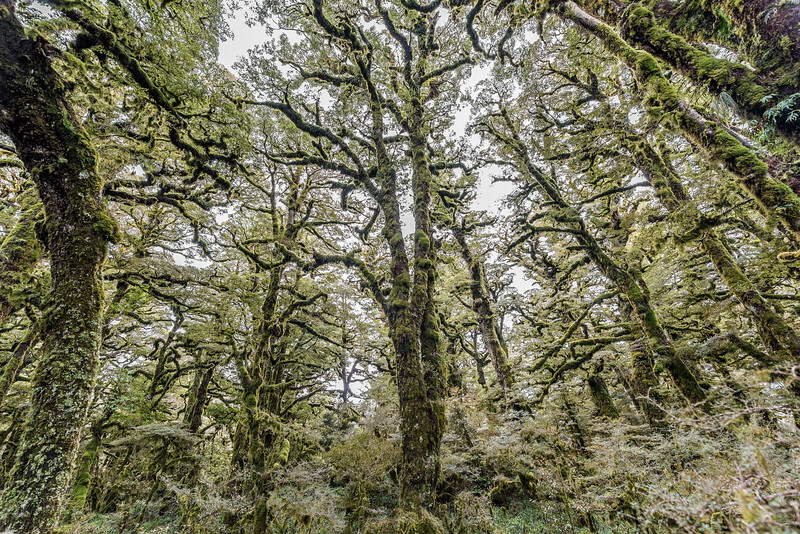 Silver beech / tawhai (Lophozonia menziesii). 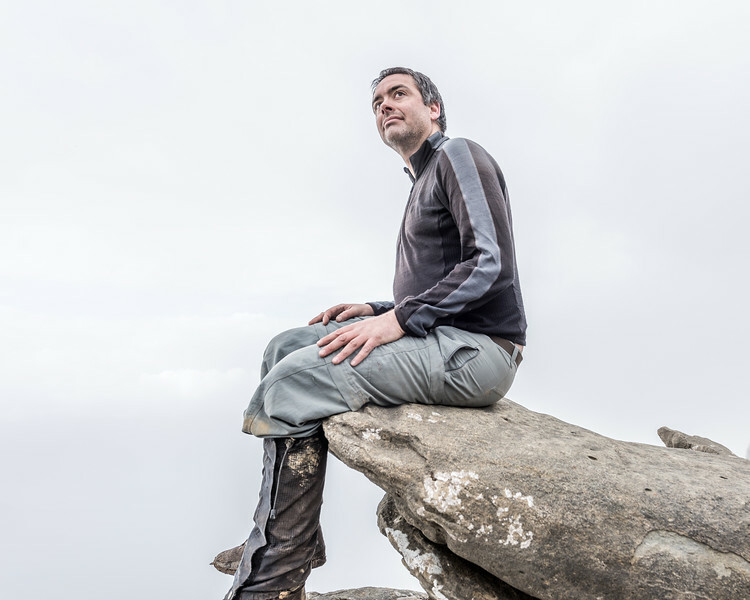 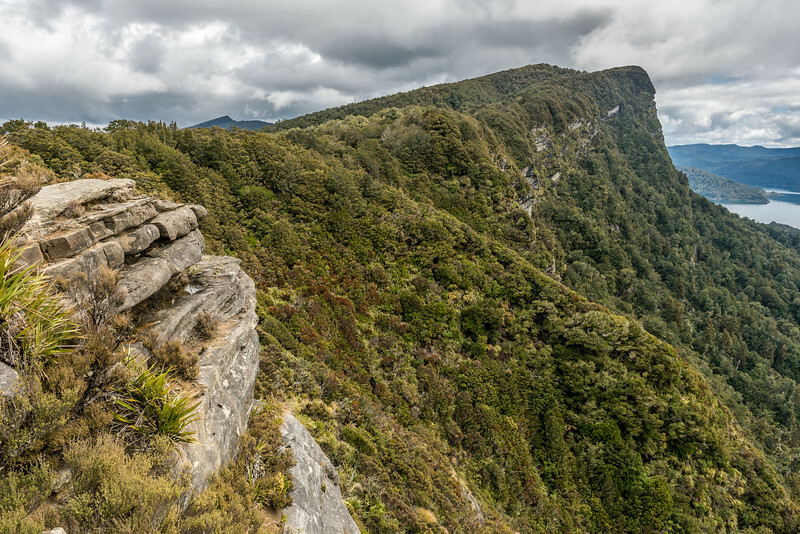 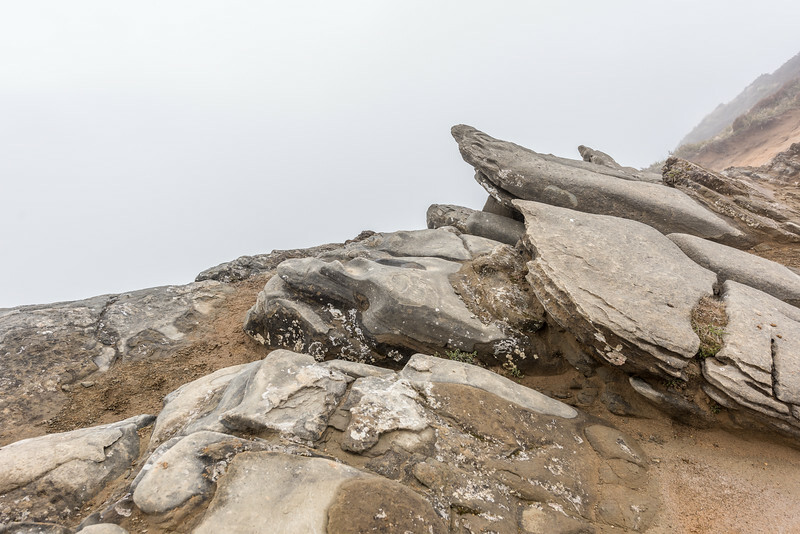 Bald Knob, Panekiri Range, Te Urewera National Park. 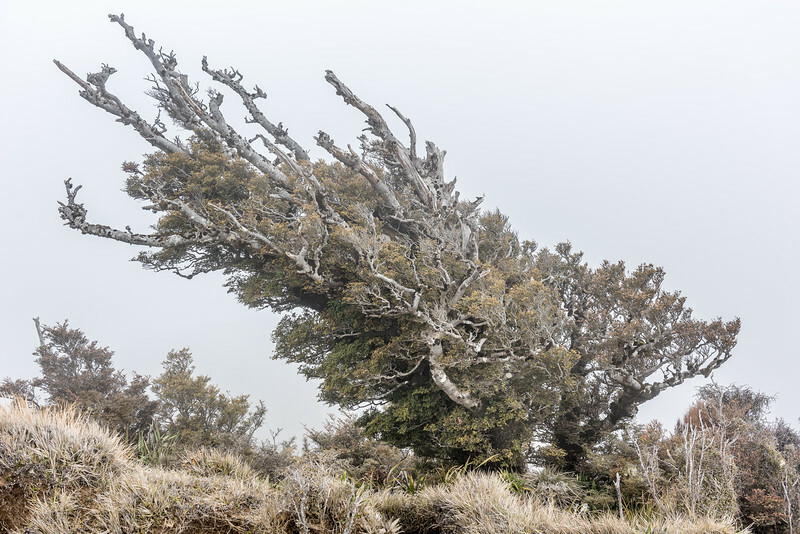 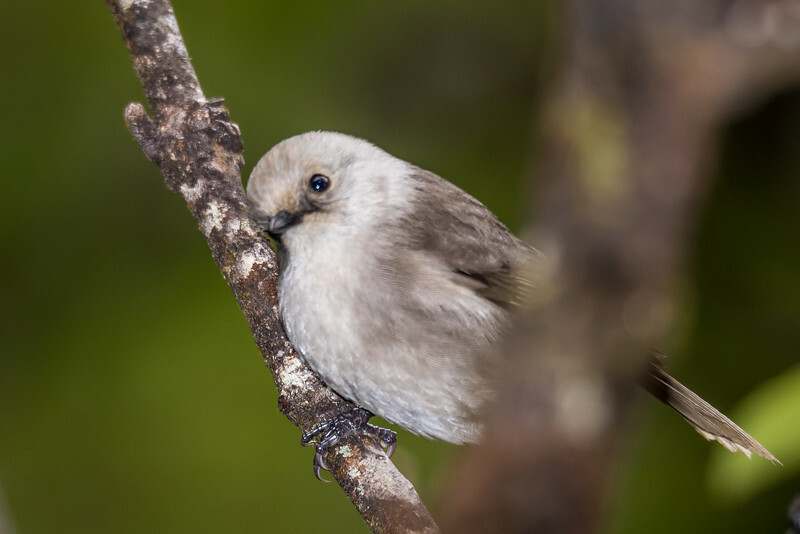 Whitehead / pōpokotea (Mohoua albicilla). 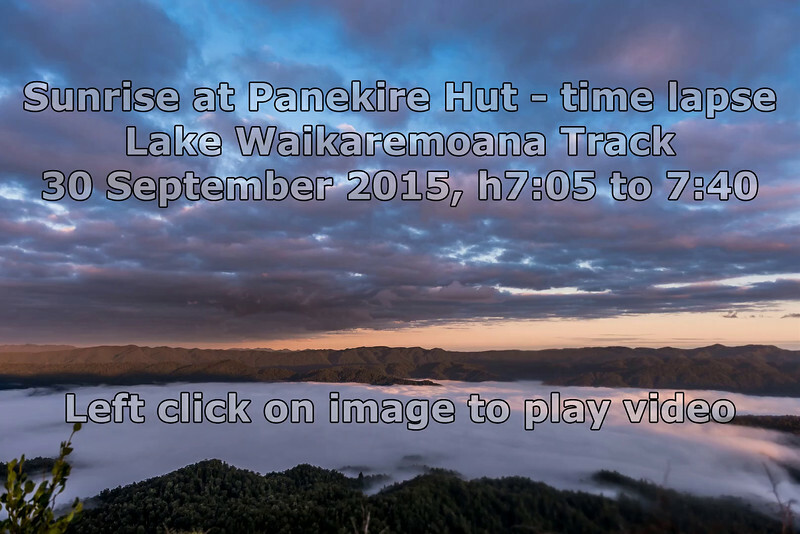 Panekiri Range, Lake Waikaremoana Track, Te Urewera National Park. 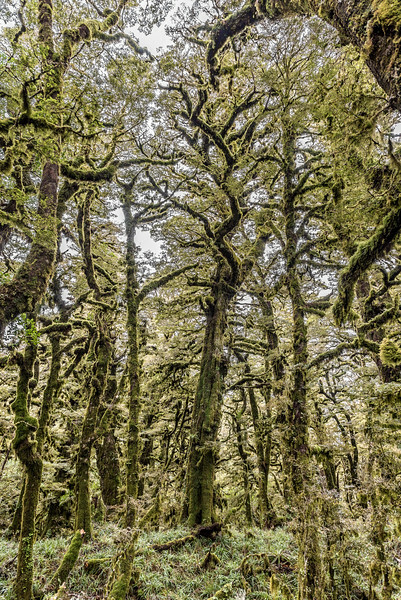 Beech tree (black, mountain or silver), Waiopaoa Stream mouth, Lake Waikaremoana. 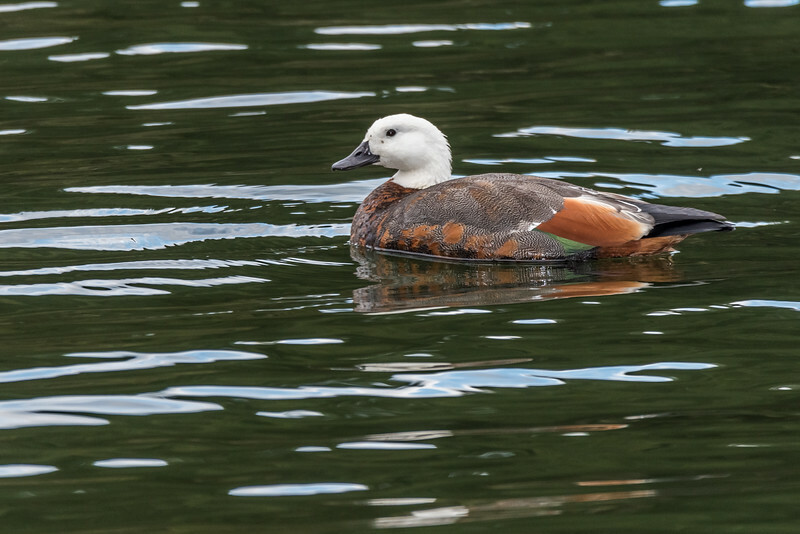 Female paradise shelduck / pūtangitangi (Tadorna variegata). 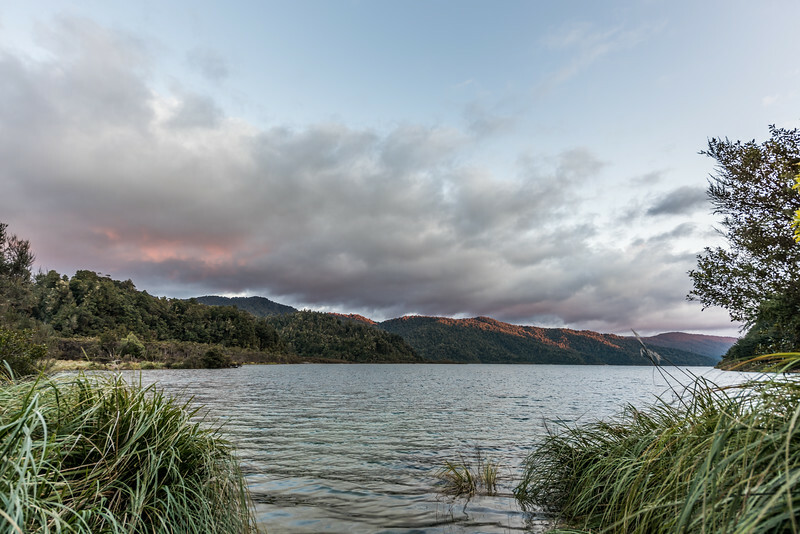 Waiopaoa Stream, Lake Waikaremoana. 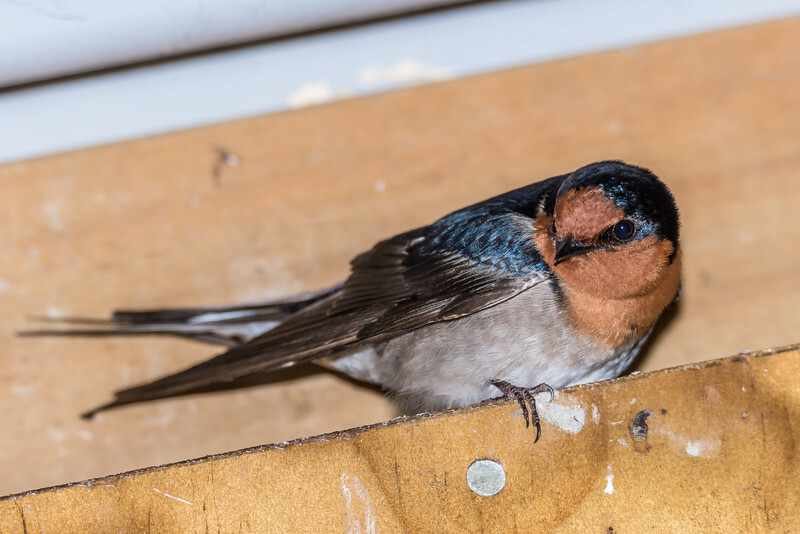 Welcome swallow / warou (Hirundo neoxena). 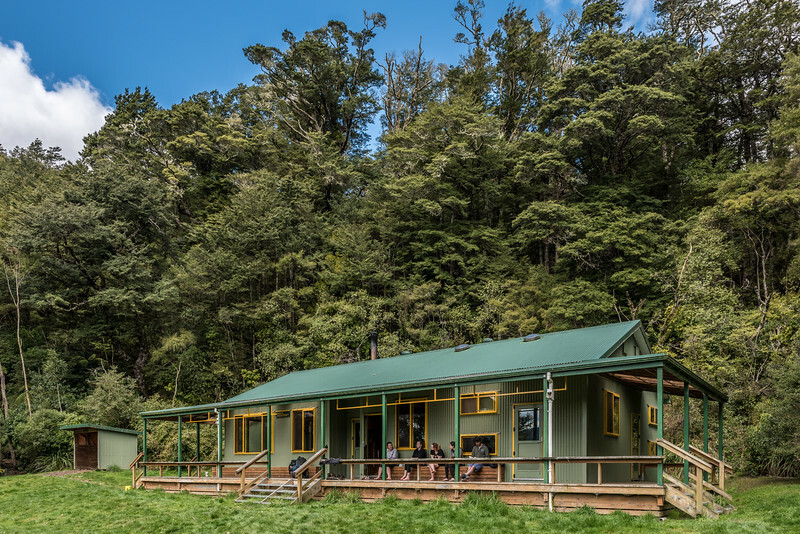 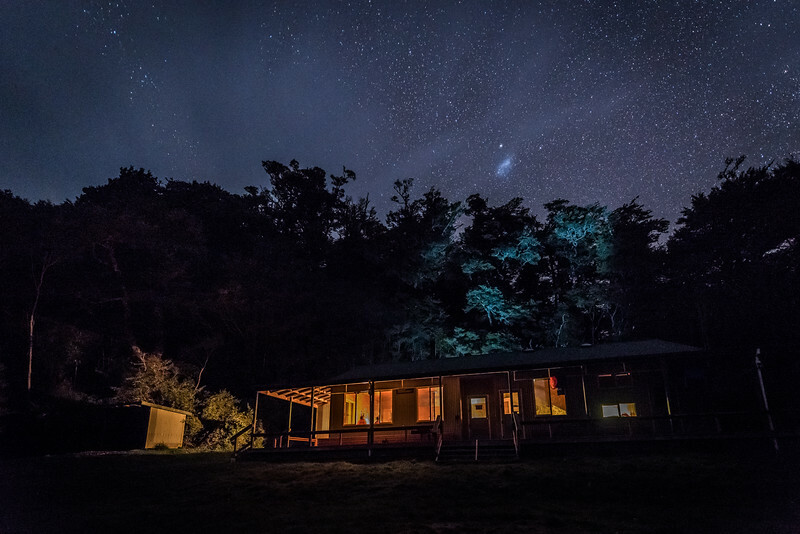 Waiopaoa Hut, Lake Waikaremoana Track. 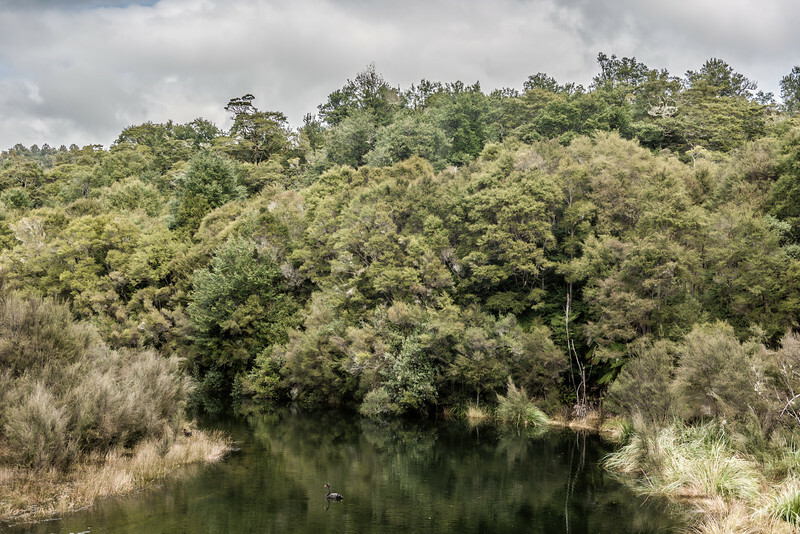 Black swan / kakī ānau (Cygnus atratus). 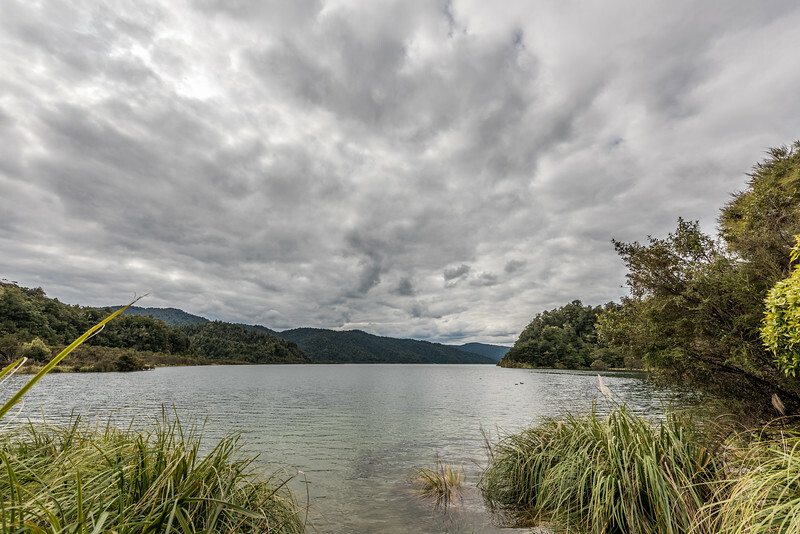 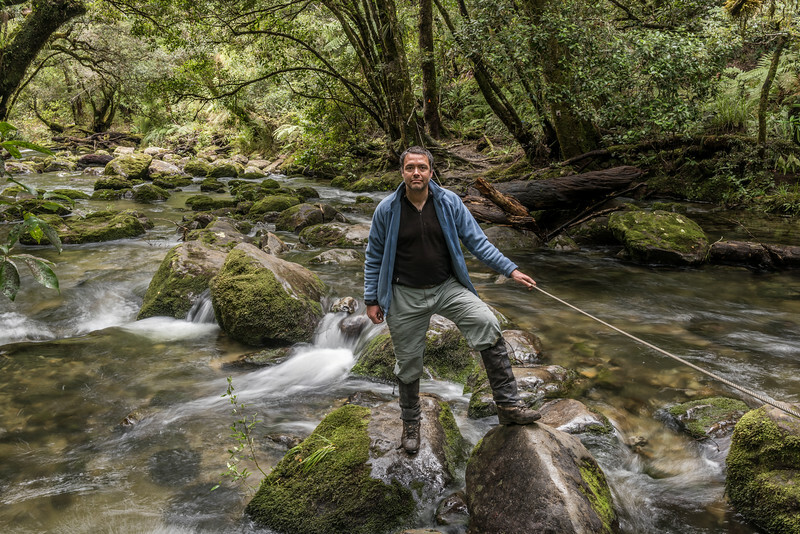 Korokoroowhaitiri Stream, Lake Waikaremoana, Te Urewera National Park. 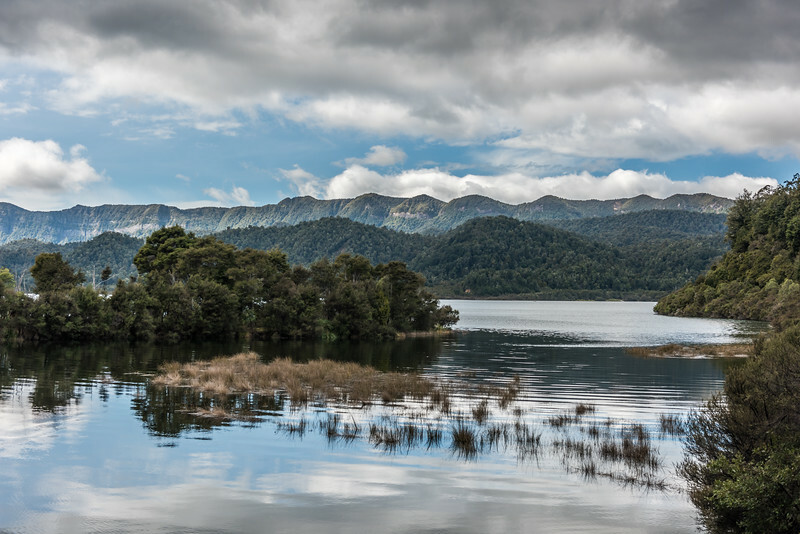 Korokoroowhaitiri Stream estuary. 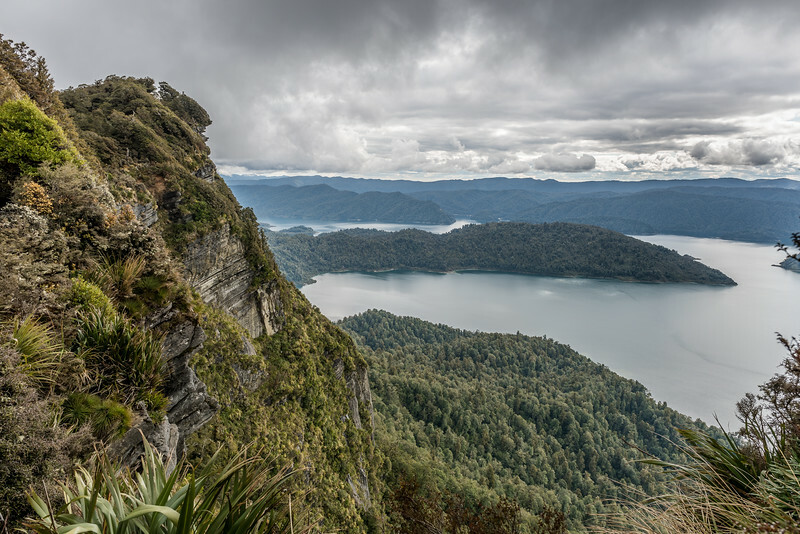 The Panekiri Range is in the background.